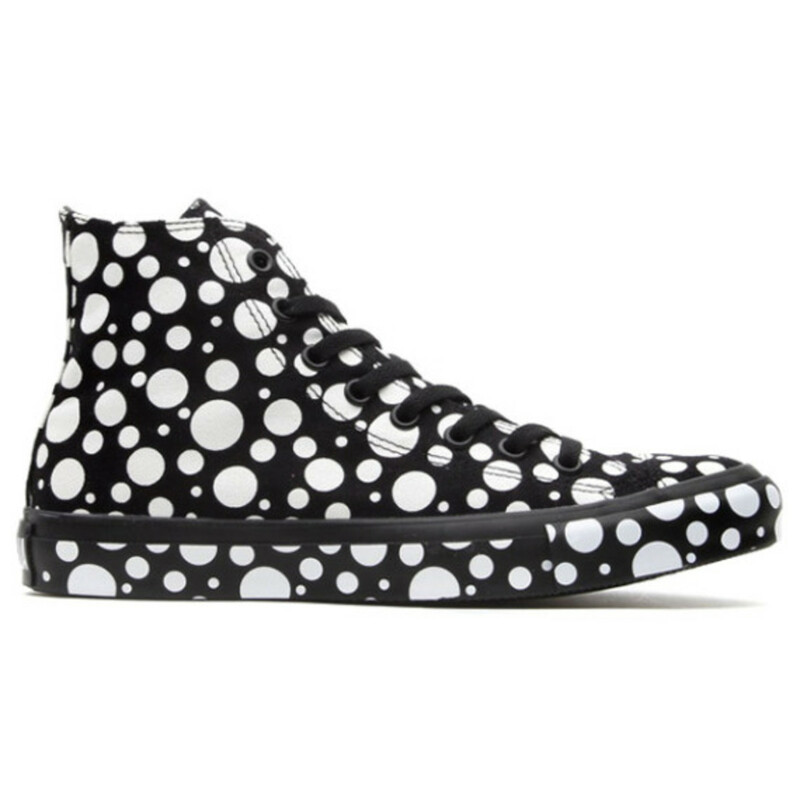 One cannot help but to speculate on the popularity of polka dot patterns resulting from the influence of Japanese contemporary artist, Yayoi Kusama, and cult fashion brand, COMME des GARÇONS. 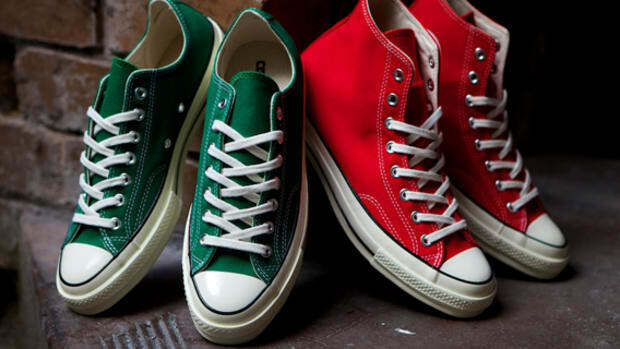 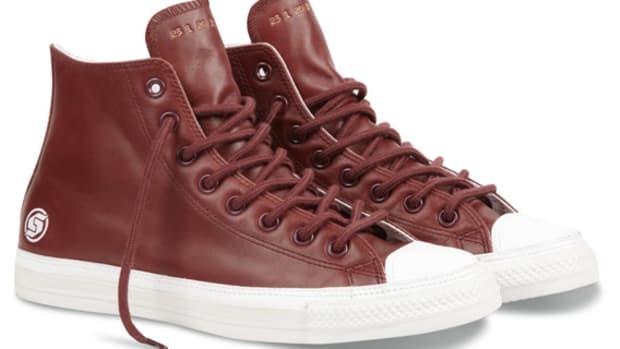 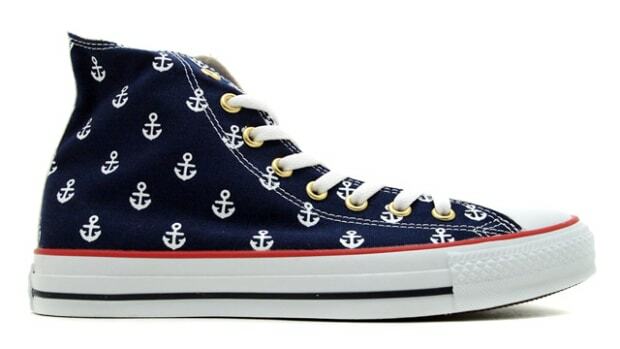 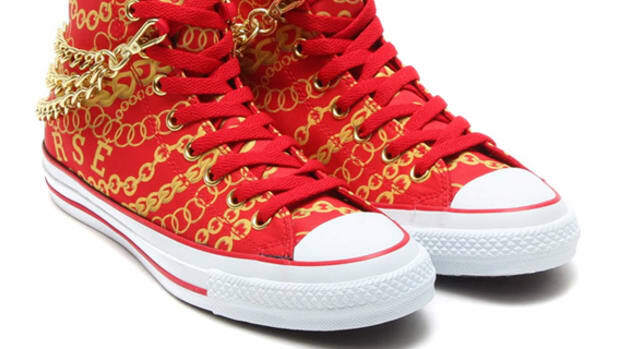 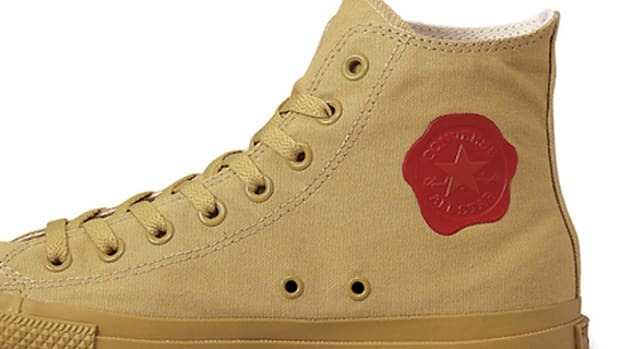 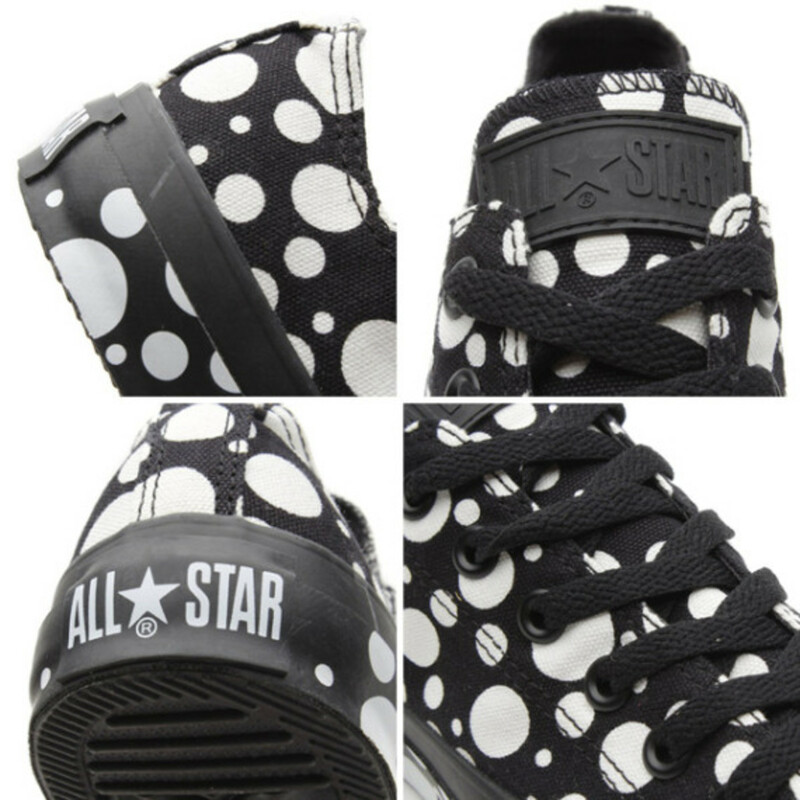 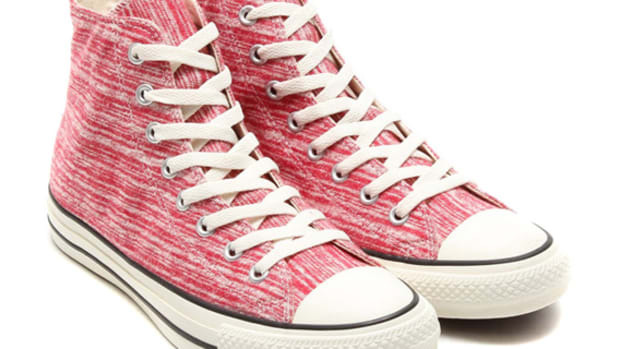 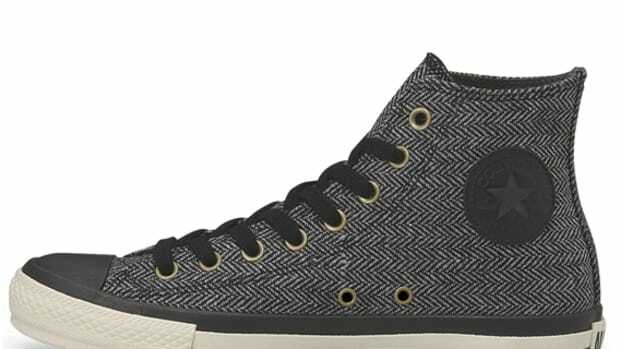 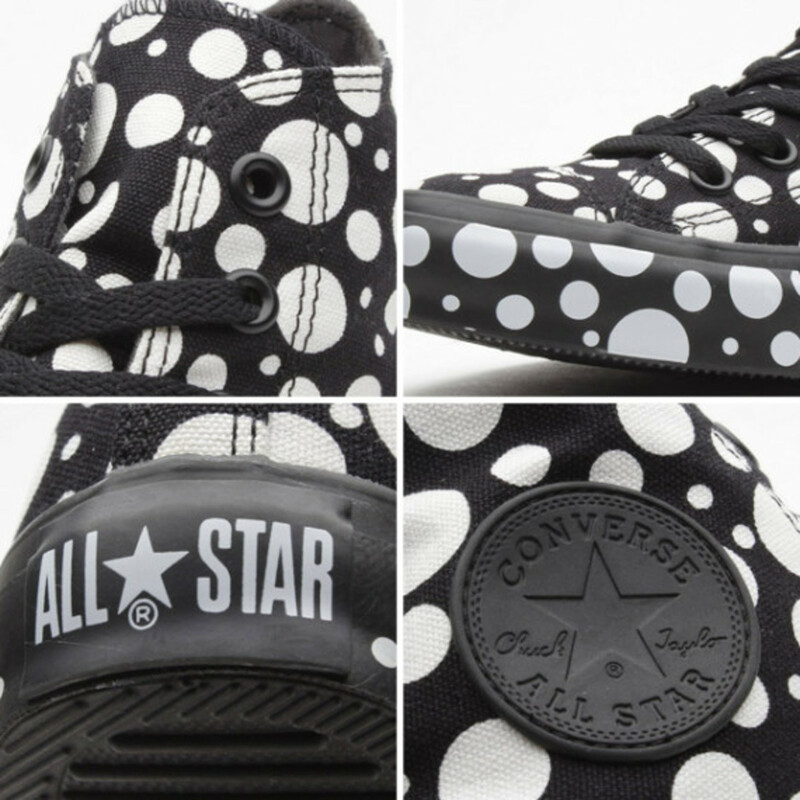 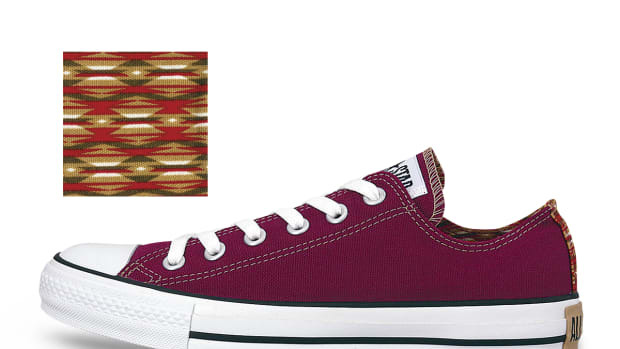 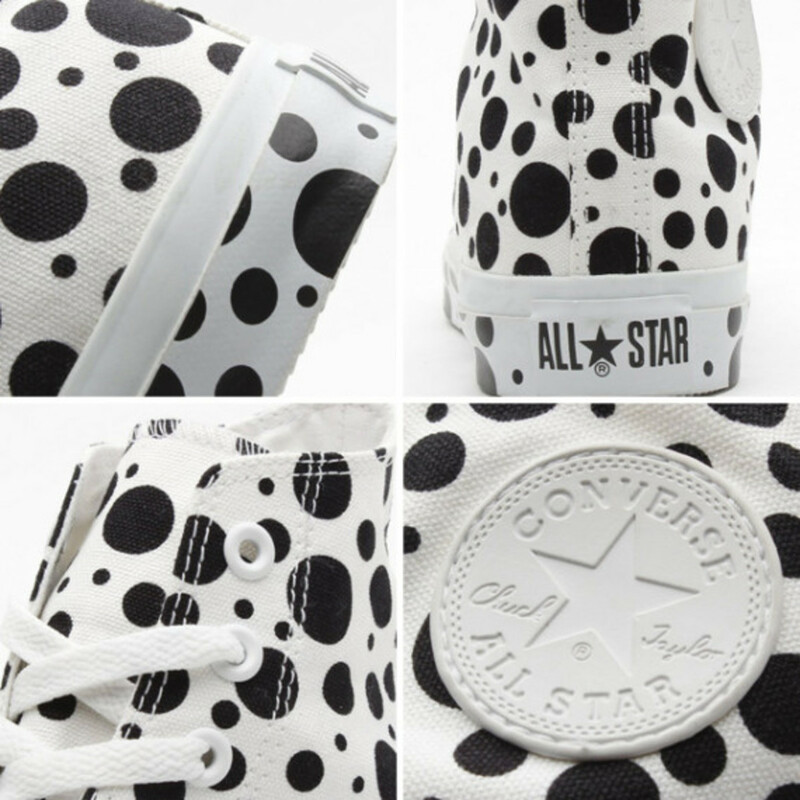 From their Spring 2014 offering, CONVERSE will introduce these Chuck Taylor All Star Dottest Pack. 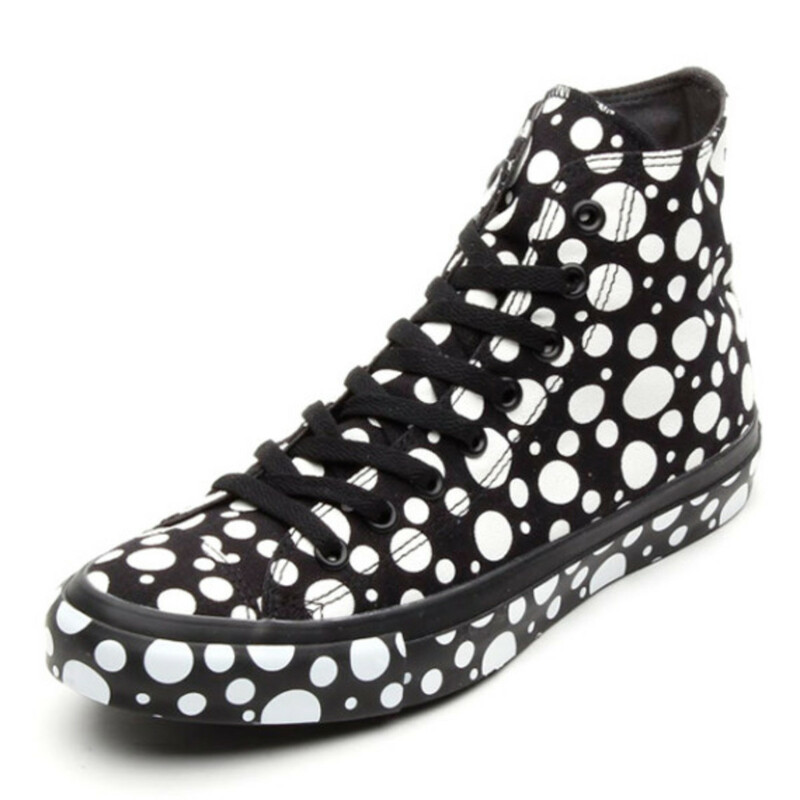 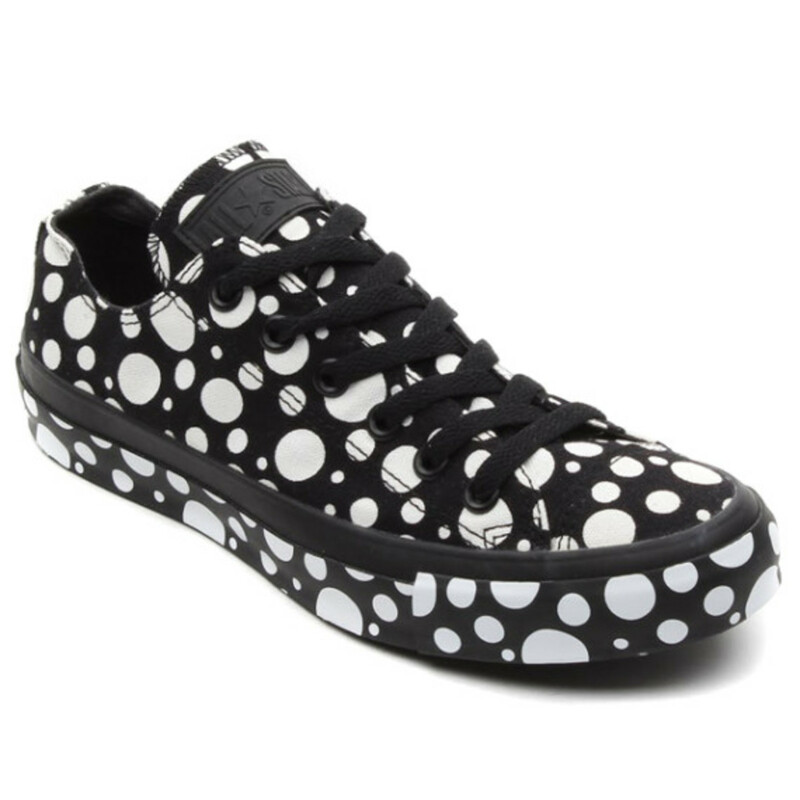 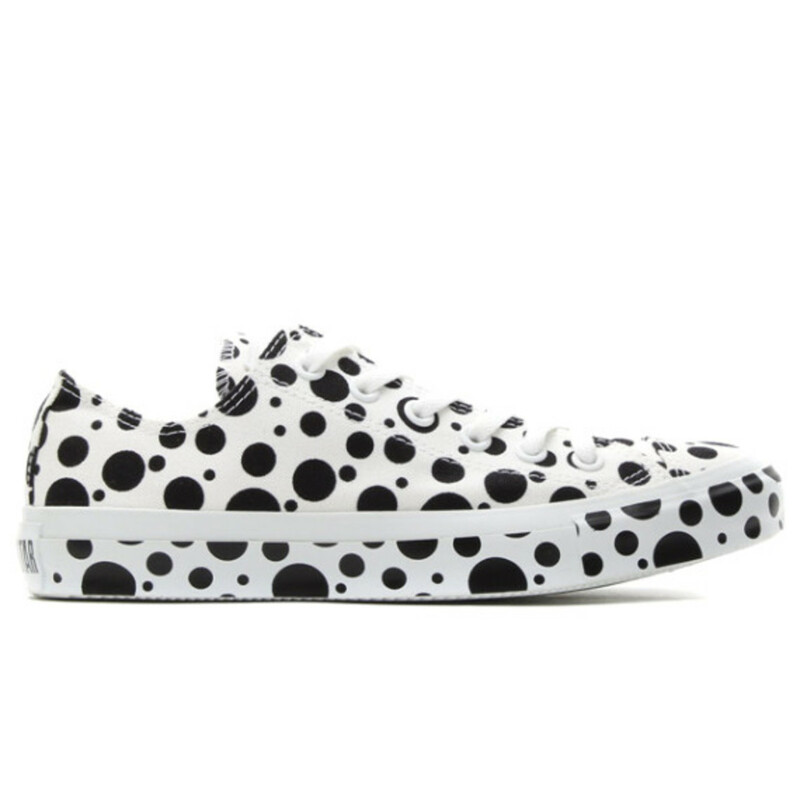 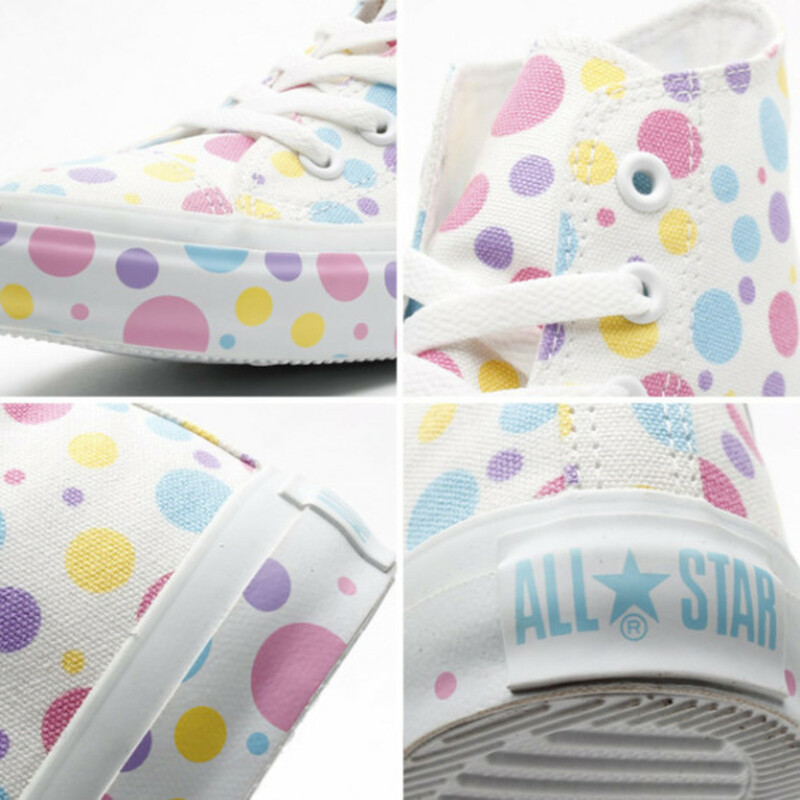 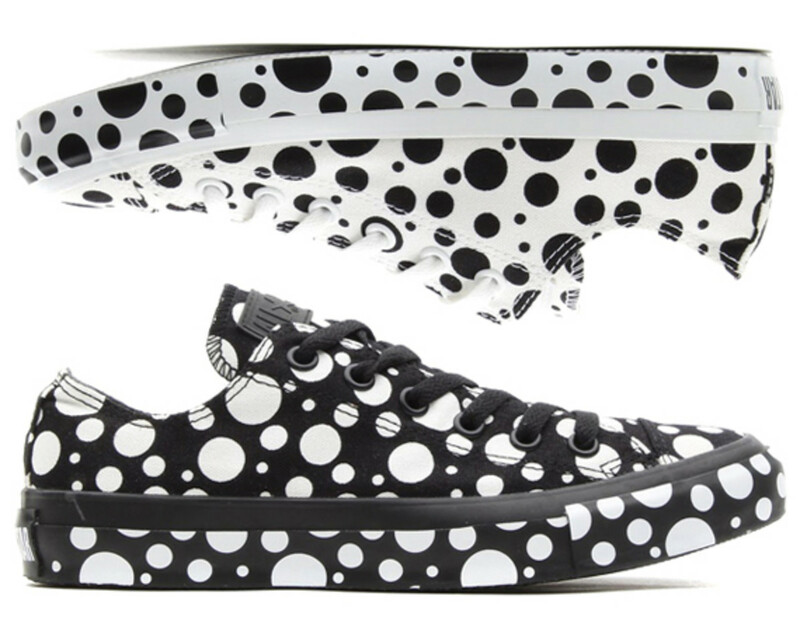 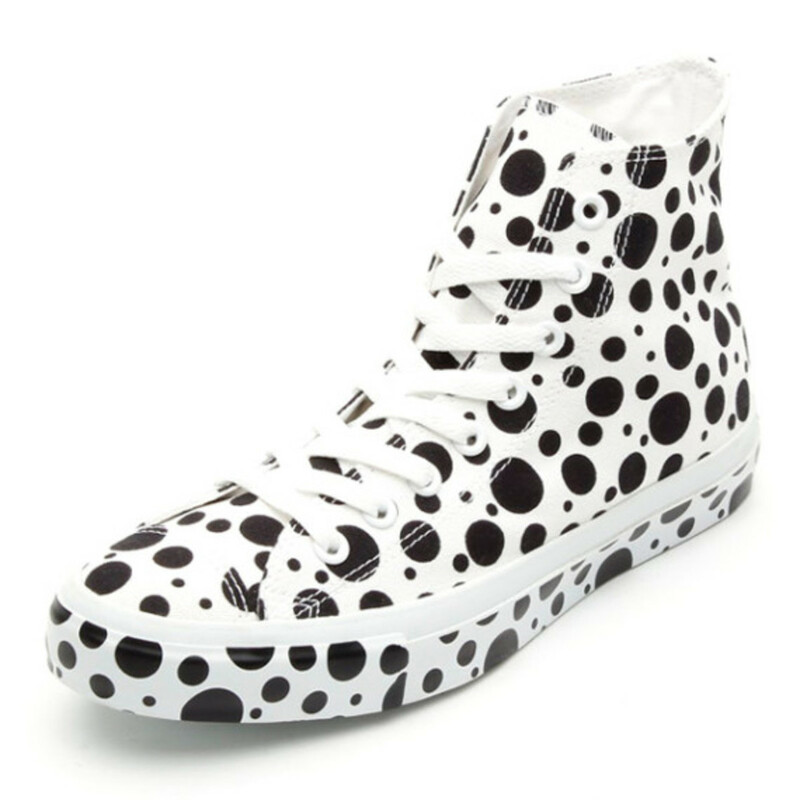 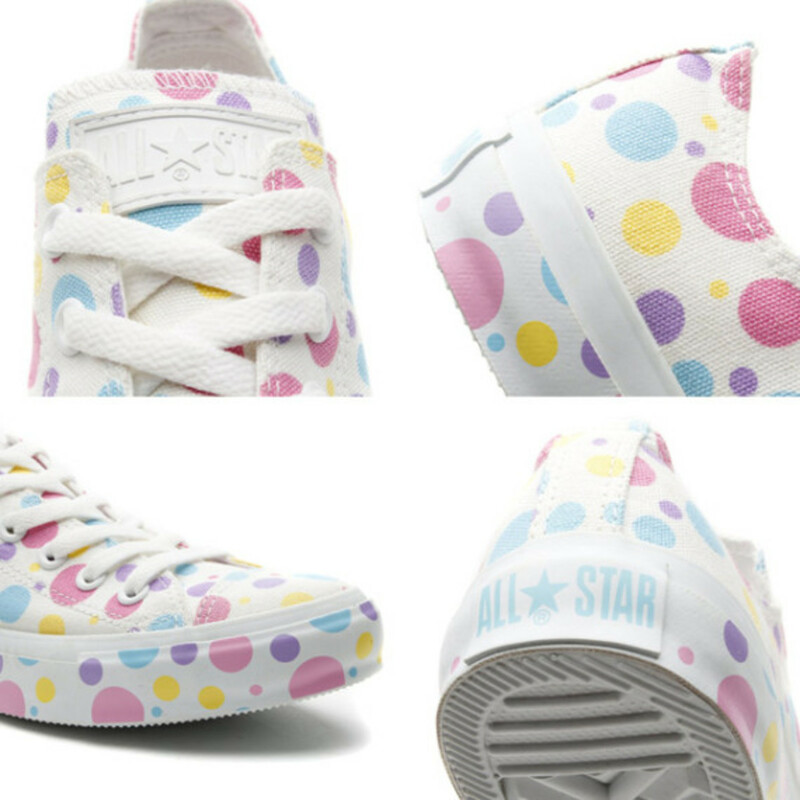 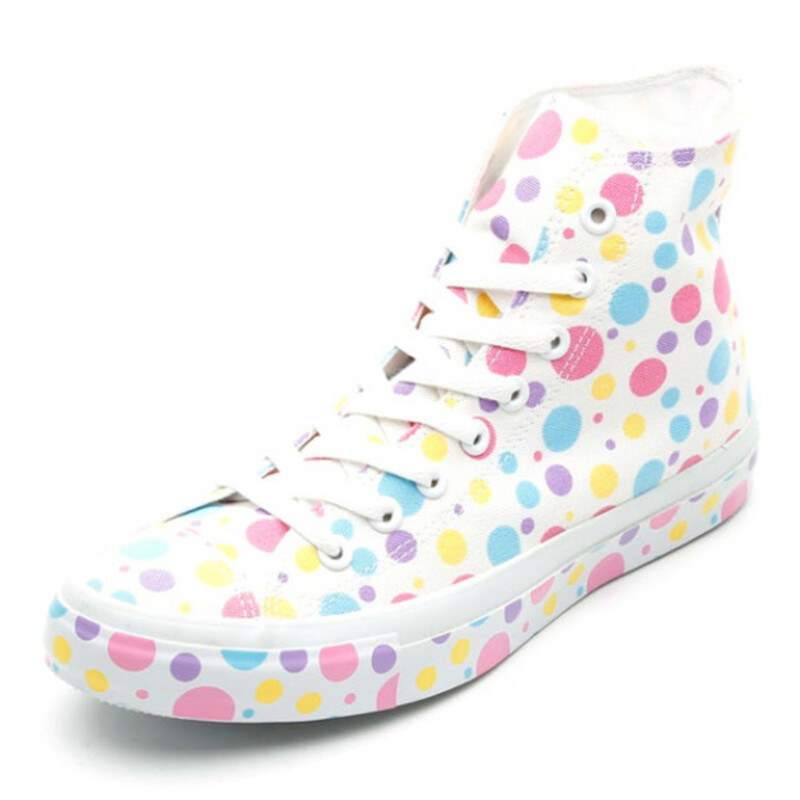 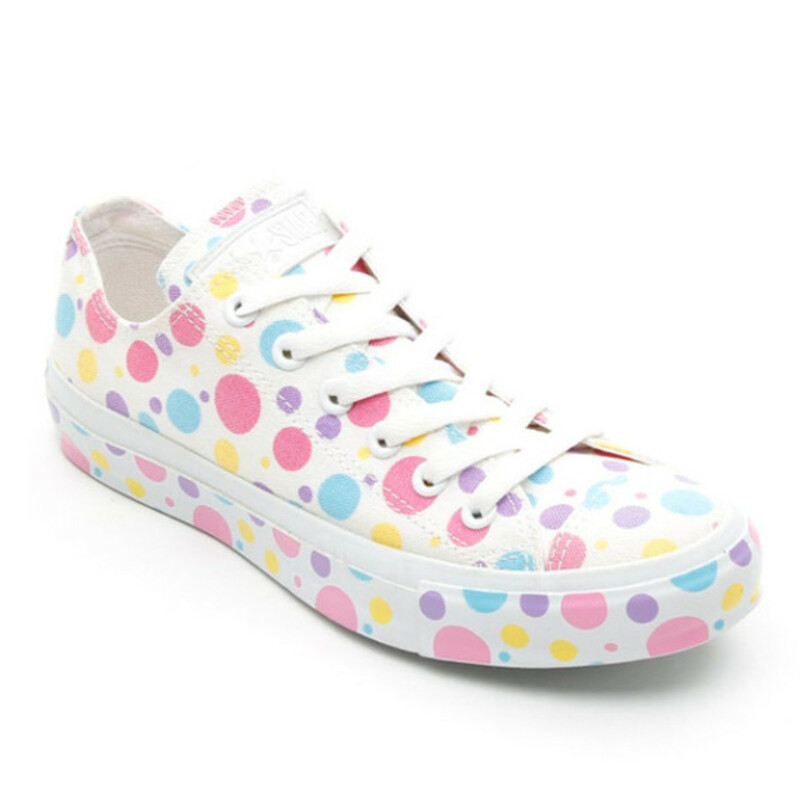 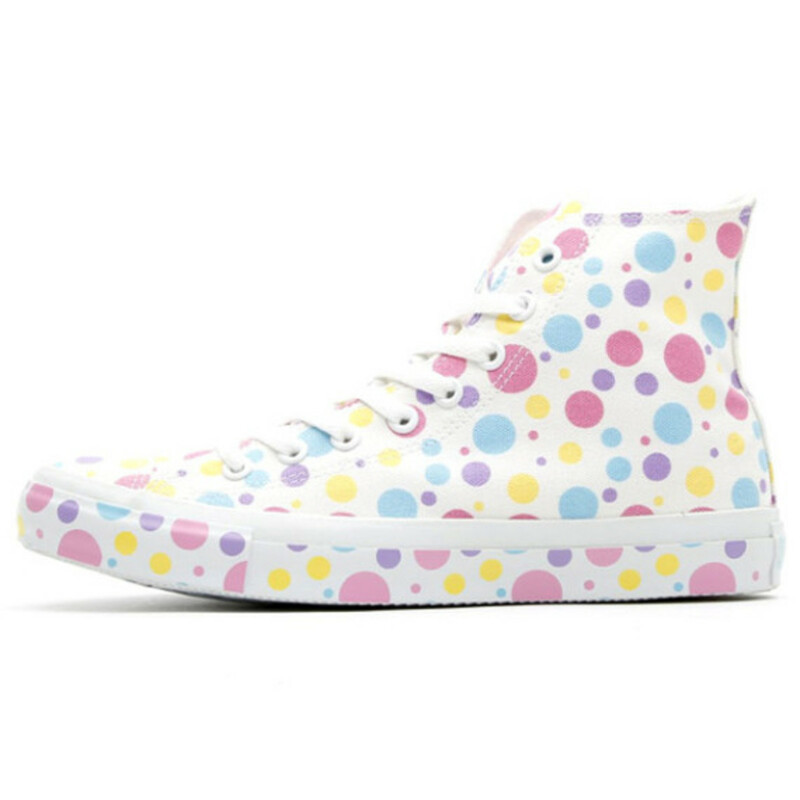 The word Dottest derives from dot and -est, referring to the vast amount of dots found on these sneakers. 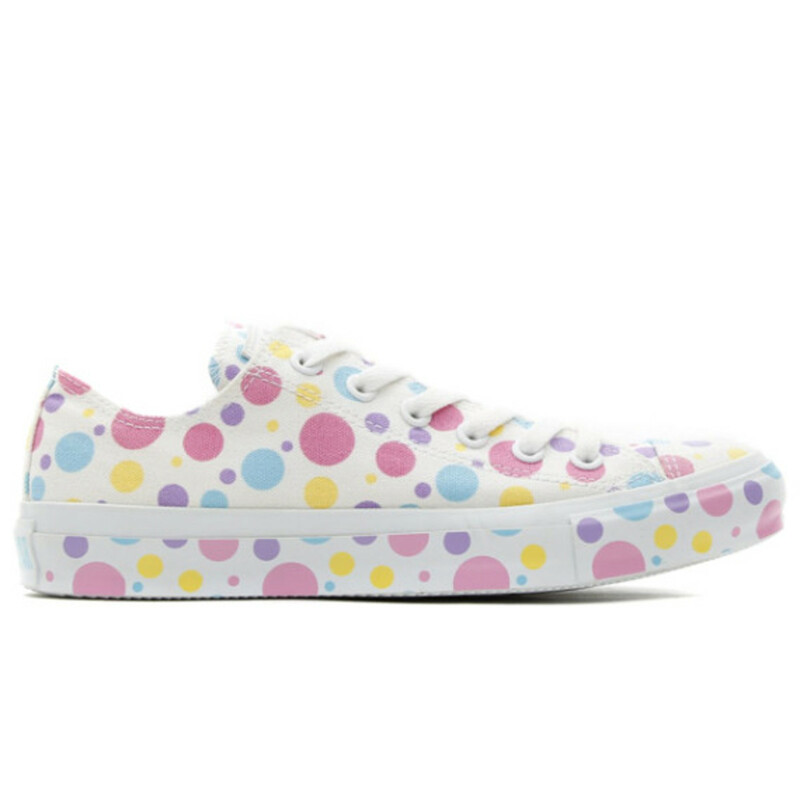 Interestingly, the dot patterns are printed on the uppers in contrasting colors and on the foxing tape on the midsoles, adding more dots per inch. 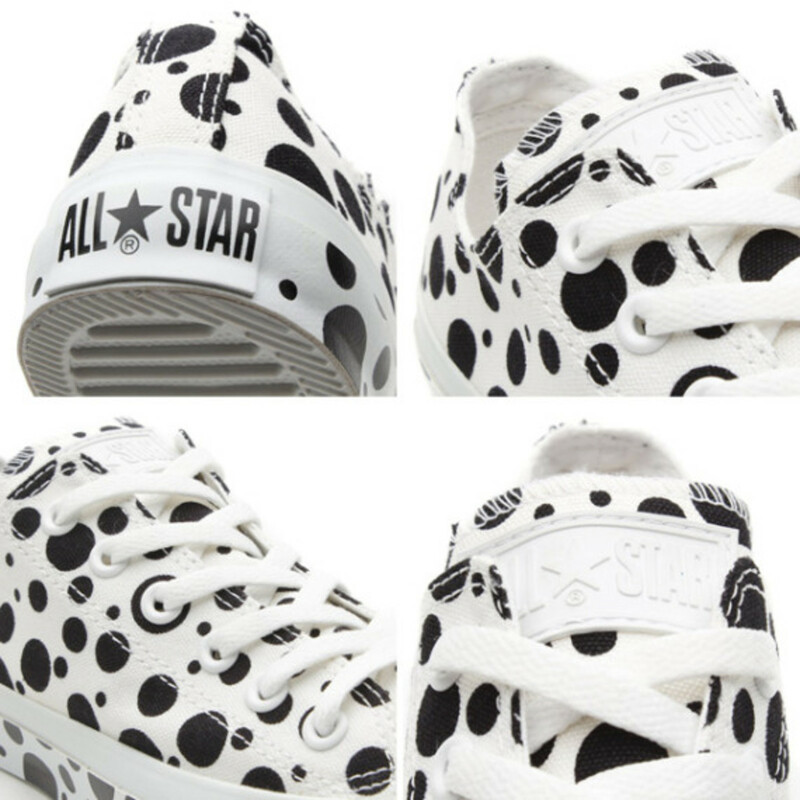 Both black and white versions are offered as a pre-order at atmos online shop in Tokyo.